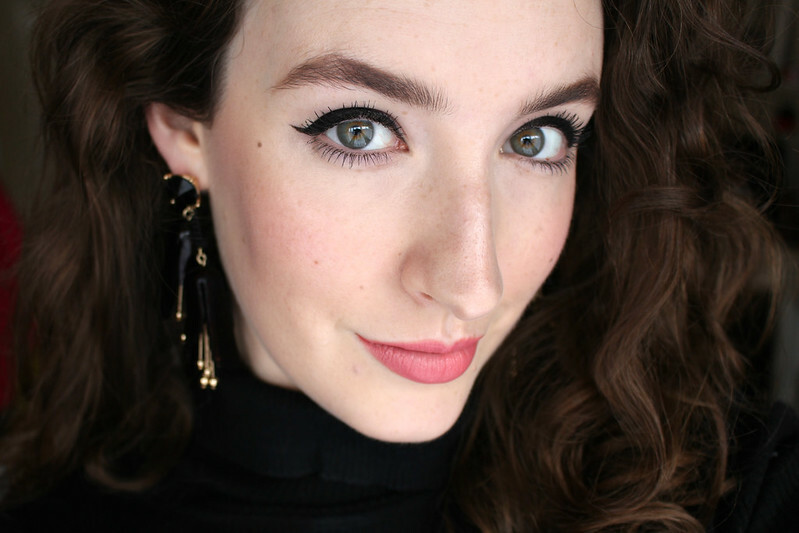 It's been a while since I've written one of these Face of the Day posts and yet they're some of my favourite to do because I love writing about lots of different products in the one post, giving an overview of some of my current favourites and anything that isn't working for me. I've been wearing very minimal makeup recently, barely any liner or eyeshadow mainly focusing on brows, blush, lashes and lips. Entirely influenced by wanting extra time in bed in the morning and by the ever inspiring Katie Jane Hughes who I've been following for a while now and if you are into makeup in any way, you should definitely check out her Instagram and Youtube channel. 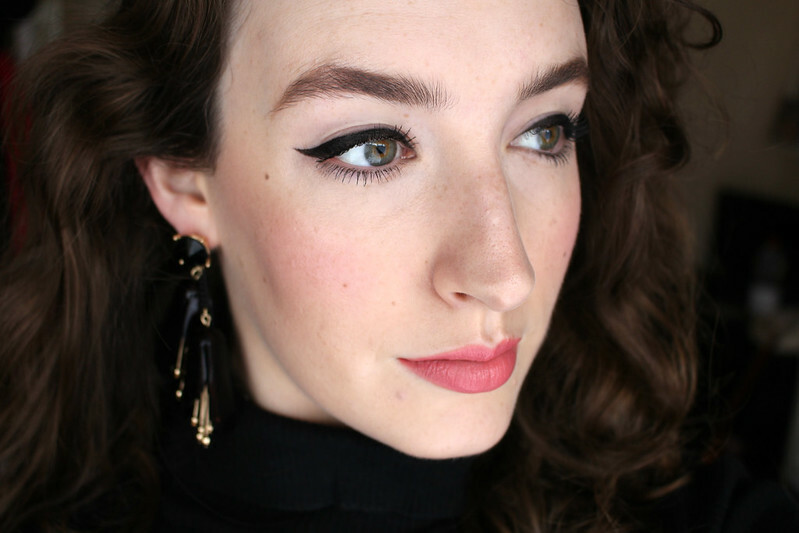 In my mission to try to 'shop my stash' and wear more from my makeup collection, I took out an old favourite, Revlon Pink in the Afternoon lipstick and created a very simple, minimal sixties inspired look to go with it. 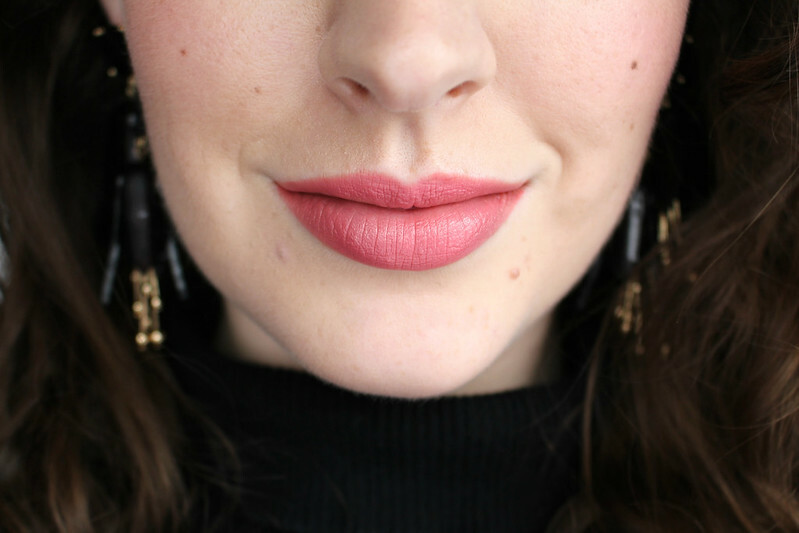 The reason I decided on a sixties look is because Pink in the Afternoon is reportedly the lipstick Audrey Hepburn wears in the 1961 film Breakfast at Tiffany's. After much online research there doesn't seem to be a definitive answer as to whether it actually is the lipstick from this scene where Holly Golightly utters the famous line "A girl can't read that sort of thing without her lipstick" in the back of the cab at the end of the film. There is a lot of evidence that it is the lipstick, the packaging for one is very similar to images I found of Revlon lipstick packaging from the 1960s which at the time was all gold. A few years before she made Breakfast at Tiffany's, Hepburn starred in a film called 'Love in the Afternoon', she was also in at least one Revlon ad that I found. There was also a vintage Revlon lipstick ad I found with a model dressed as Holly Golightly. I don't know if anyone knows for sure or if it just started as a good guess that became "fact". If anyone has any definite proof please let me know. It was fun to research all the same! I began by using the No7 Skin Illuminator all over my face as a primer to add a glow to my skin before foundation. I love this stuff, it's great to blend onto the high points of the face as a subtle highlighter or for a more natural glow. It's not too obvious which is perfect for the days when you want the more "lit from within" look. It also works amazingly as a primer for any foundation, but maybe steer clear using it all over the face if you have oily skin. For foundation I used No7 Stay Perfect which I hadn't used in a long time and I had forgotten what an excellent foundation it is. If you love No7 Stay Perfect Superlight like me, but you need/like a bit more coverage, this is a good alternative as it blends just as easily and lasts all day. After foundation I always do my brows, this time I used another favourite, Soap and Glory Archery Brow Filling Pencil and Brush in the shade Brownie Points which if I'm not mistaken is the middle shade of the three available and a little lighter in colour than my usual shade but I like a lighter brow coming into Spring and Summer. I lightly filled in my brows only where needed and set them with my beloved Lancôme Sourcils Styler. I wanted to create a big winged liner as I haven't worn liner in ages, I used the Rodial Smokey Eye Pen first and blended it out, then the YSL Couture Eye Marker which is an interesting concept as it's a felt marker but the tip of it is cut at an angle meaning you can create thin or thicker lines depending on what angle you hold it at. I have to say it took me a few times to get used it, I didn't find using it as easy as I thought I would at first. Once I got the hang of it though, it was actually easy enough to create a wing quite quickly and it dries matte which I love. However I find with both this and the Rodial pencil, after just a few hours of wear my liner is smudged around my eyes and the wing starts to disappear which I hate and is the reason I tend to go for long lasting or waterproof liner and mascara to ensure that it doesn't happen. Both products are fine for just creating a thin line along the lashes but they just don't last on me if I wing them out. I don't even have particularly oily eyelids either. If YSL made a waterproof version of this it would be much better, but at €29 I expect excellent staying power. To finish off the eyes I used Lancôme Hypnôse mascara which was a Christmas gift (I'd never tried it before) and needs to be replaced but is an unbelievable mascara that gives everything I love, length, volume, definition and is buildable. It's not waterproof but I've had absolutely no issues with smudging or flaking. I put on a little bit of Catrice Liquid Camouflage under my eyes and on a lovely hormonal spot on my chin. This is a great budget concealer, the shade range is excellent and it's waterproof so it's amazing on blemishes if you tend to get oily throughout the day. I delved into my makeup collection once again and brought out another old favourite, MAC Well Dressed blush. It's a pretty cool toned pink very similar to Benefit Dandelion both of which are perfect shades for fair skin ladies like myself. 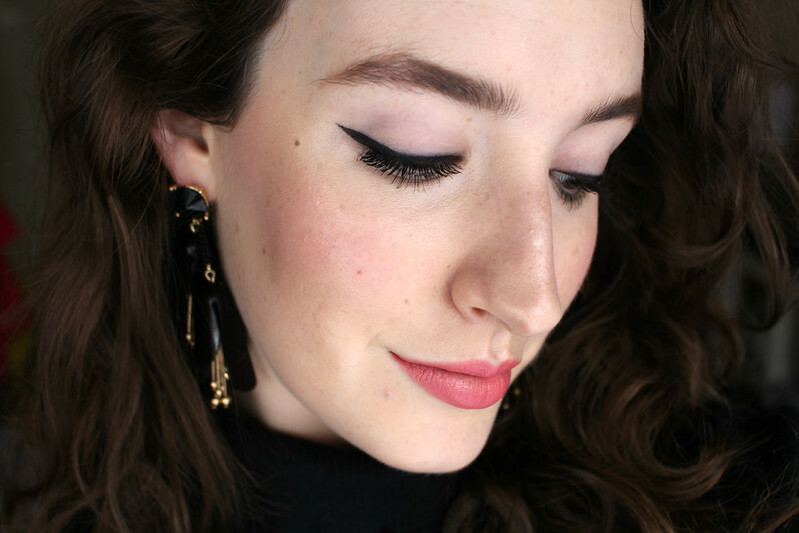 I added a slight touch of theBalm Mary-Lou Manizer on my cheeks just for a little extra glow. I finished the look with the lipstick that started it all, Pink in the Afternoon. 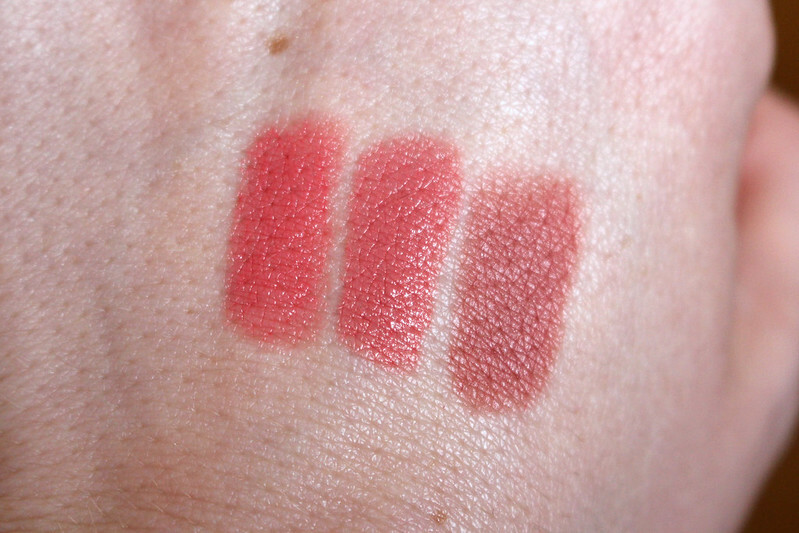 I was obsessed with Revlon lipsticks back in the day and they're still some of my all time favourites. You really can't go wrong with a good Revlon lipstick after all these years. As you can see from the photo above I found some shades that are similar to Pink in the Afternoon, but both are a lot more expensive. You can see from the photos of the liner the how it looks with my eyes closed and looking forward. 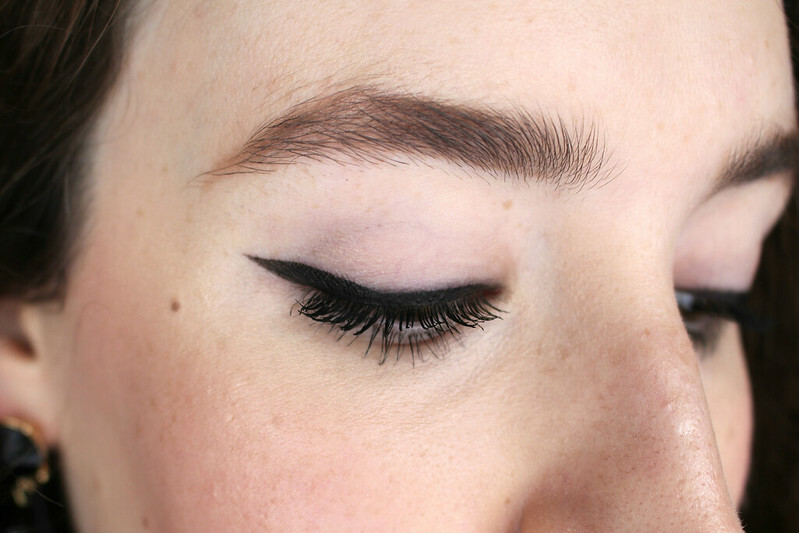 The shape looks a bit strange when my eyes are closed but when I look ahead you can see the wing is perfect for my eye shape. I really hope you enjoyed this post and my little paragraph on makeup history. 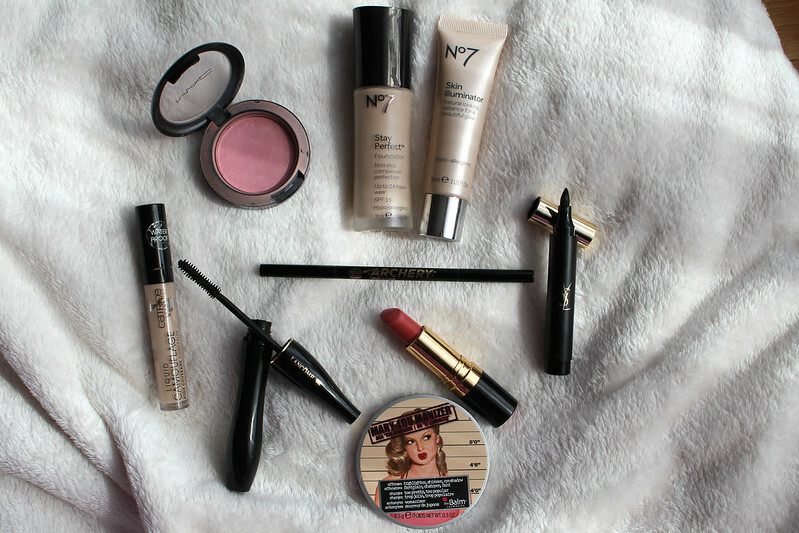 *Press samples include the No7 Skin Illuminator and the YSL Couture Eye Marker. All opinions expressed are my own and are completely honest.